Part of Harvey's aftermath will be a shortage of plastics. The general public cannot see it yet. Many plastic processors and especially their customers are in denial. Many large processors have shut down and sent their employees home. 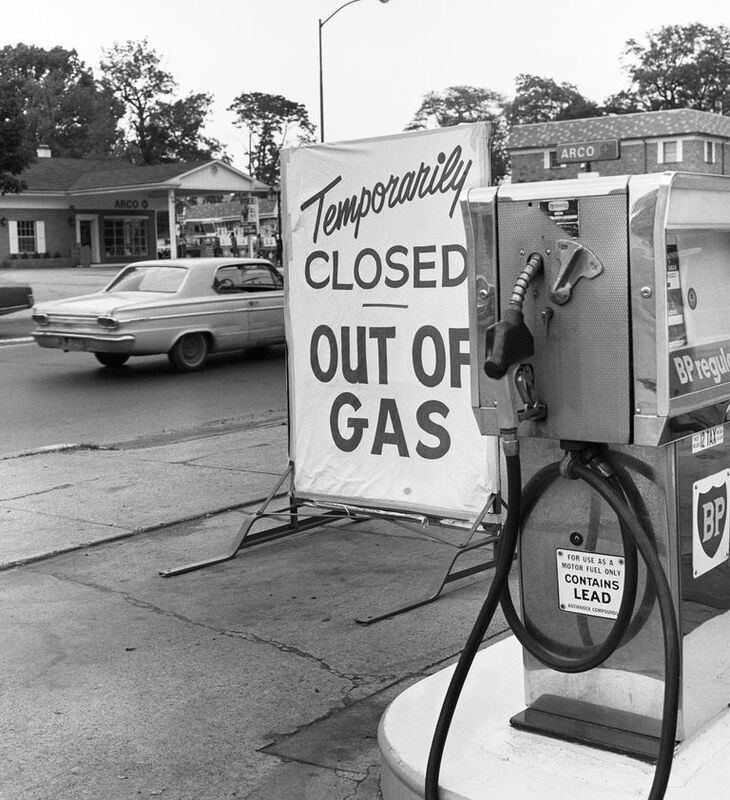 For us old timers, recent events conjure up shortages of 1973 - 1974, 1998 and 2005. The irony is that black plastic trash bags are badly needed in Houston now. The following is a recap of causes and outcomes of the previous shortages. First, let's review the definition of a shortage. A shortage is simply not enough of a commodity available at the price the market wants to pay. Simultaneous to the oil embargo, there was a shortage of beef. Vegetarians were not particularly concerned. The plastic industry was a teenager. 6 years earlier, Dustin Hoffman's character Benjamin Braddock got the famous career advice - plastics ! Resin was made either by chemical companies who were not basic in feedstocks or by a few petrochemical companies. The chemical companies bought ethylene and propylene on the "spot" market. When the oil embargo hit and monomers were in short supply, guess who got first option on ethylene and propylene monomer? Plastic processors went on allocation based on historical purchases. List price for polyethylene was in the 15 cent per pound range. When Nixon instituted wage and price controls, people got creative. Suddenly there was a plethora of material available in the 50 to 60 cent range. It was labelled "off-spec". One legacy of the big one: no more "list" prices for resin. There was resin, but not much for 15 cents a pound. During the roughly 16 months of the shortage, pricing was hour by hour. The phrase "prevailing price at time of shipment" was added to the terms and conditions of sale. Look closely in the fine print of an old plastic processor 's terms and conditions and you will probably see it. The shortage pricing collapsed in a matter of days. Many plastic manufacturers reinvested their windfall profits in more capital equipment thinking the party would go on. Instead, it lead to a glut of overcapacity. was short lived. Processors on allocation quietly exported their excess resin to maintain their allocation. 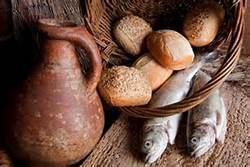 The resin companies figured out they were better off dividing the fishes and loaves among their smaller customers for higher margin than unloading in bulk to large customers at rock bottom prices. Ever since, credit managers have had more sway. was the aftermath of Katrina and Rita, often referred to as "Katrita". Natural gas spiked to an all-time high of $ 15. Search volume for "price of plastic" also spiked. 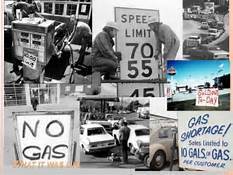 Buyers who were not around for 1973 / 74 simply could not believe the price for a cheap commodity could go up that fast. The lasting effect of Katrita was agreement upon the CDI as a basis for price adjustment. The other lasting effect has been discipline. There was major bloodletting at the resin companies in 2006. Ever since, the resin producers have shown remarkable discipline. Now it's no forecast, no resin. They no longer just make resin for it's own sake. Skip ahead to present day. The initial shock of Harvey has worn off. Now customers want to know when they will get resin and when. What is reminiscent about 1988 is smaller processors are getting better access to resin than large volume processors. Smaller processors defined as less than roughly 25,000,000 pound per year usage have been relegated to buying through prime distributors. The large volume users are calling distributors with orders for multiple railcars. They are perplexed when their orders are respectfully declined due to overriding concerns about keeping long-term smaller customers stocked with material. Several large plants have simply sent their people home. There are three components to producing resin - monomer, polymerization and transport. The monomer and polymerization bits are coming back quickly. The transport part is the crux of the equation. There is an embargo on rail traffic to most of Houston. Anyone who has dealt with railroads knows they are not going to put equipment on tracks until there is at least 105% certainty that the tracks are intact. Plastic processors simply do not know if they will get resin, when, how much or what the replacement cost will be. Many are reluctant to snap up resin because they are either in denial or they still remember getting burned back in October of 2008 when resin prices cratered 30% in a few days. The "prevailing price" lingo won't fly today. The good news is there is plenty of capacity ready to fill the void. 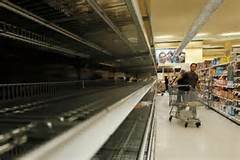 If past is prologue, the Harvey shortage will end with a whimper. Harvey's aftermath is a slow-motion catastrophe. Volume buyers of finished product are in denial. Behind the scenes, volume processors have resigned themselves to being out of some grades and shut down by November. The conversations between WalMart buyers and their suppliers are going to be interesting. Processors and their customers who eagerly anticipate running reverse auctions when 18 billion pounds of capacity comes on stream are going to be disappointed. Their is plenty of worldwide demand to take up the slack and resin companies are disciplined about forecasting and scheduling. Question: If polyethylene needs to be rationed, what items should be priority?